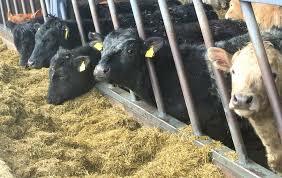 I have been contacted by various farming groups over the past couple of weeks about the severe shortage of fodder eespecially in several parts of the West of Ireland and Minister Michael Creed needs to come down to the West and see for himself the problems that farmers are having in that regard and the problem needs to be adressed immediately. I have been informed that Leitrim, parts of Donegal, Roscommon, Galway and Mayo have been badly affected and the Minister needs to visit the area to evaluate the situation and to see what measures can be put in place to assist affected farmers. I am aware that there may be extra fodder in some parts of the country but the cost of haulage would be substantial. Farmers will have to assess whether they are paying over the odds for silage is the best move, or whether to use meal along with silage might prove to be a cheaper option. Farmers should talk to their planners to ensure that they have a balanced diet for their stock and work out what is the best option for them. I will be raising this matter by Parliametary Question which iIam sending to the Minister today.